Now Facebook is more than just a social networking tool. It is on its way to becoming a one-stop shop for all of your retail therapy needs. 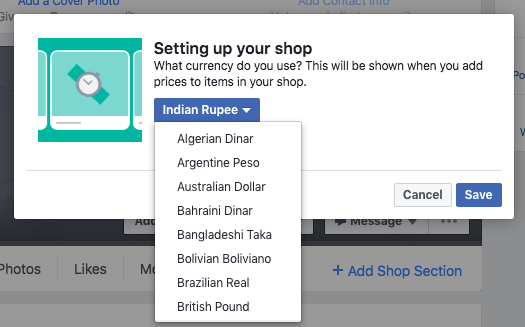 Facebook has now enabled the shop section for the Indian users, it aids the customers to buy products directly from there. 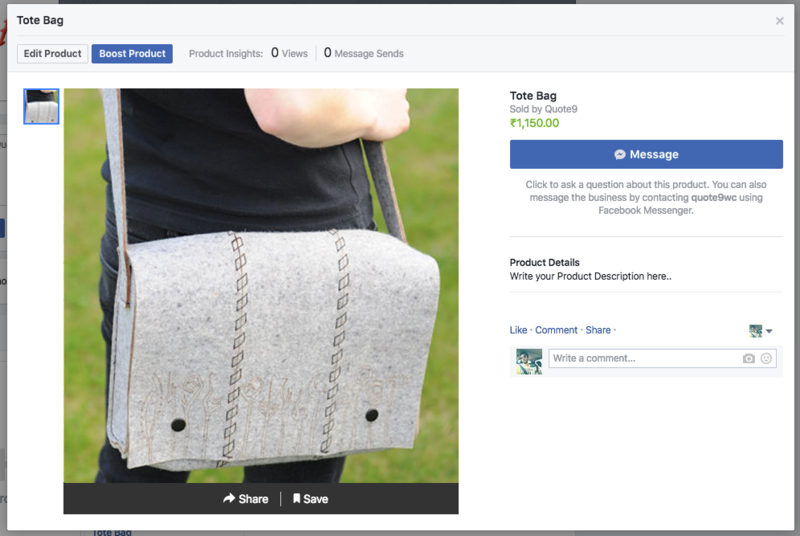 Facebook has over 1.42 million active users in India and out of all the internet users, 27% of people purchase online. So now, those can be your potential customers. 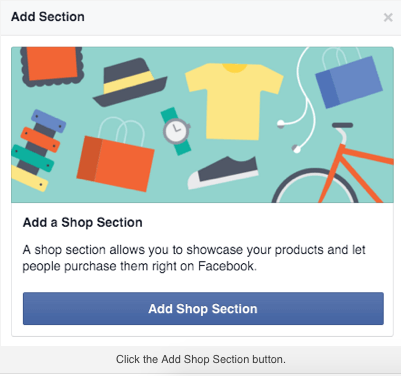 Now how great it would be if you can combine your shopping while surfing Facebook. 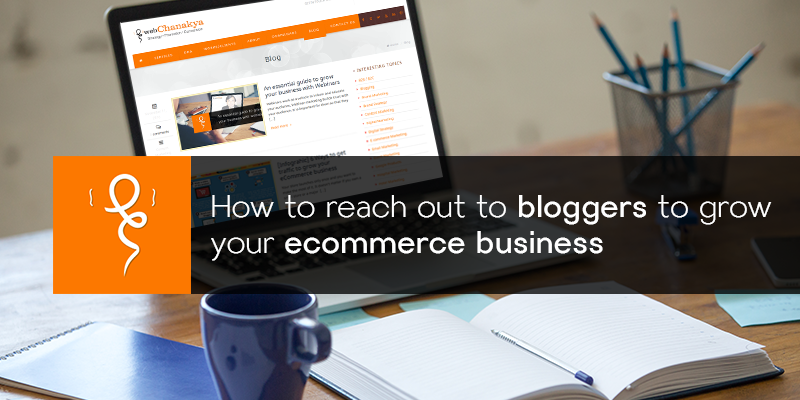 It comes as a good news for any business enterprises that strive for latest marketing strategies. It is benefited by the small scale businesses that cannot put on much budget to market their products like e-commerce giants. 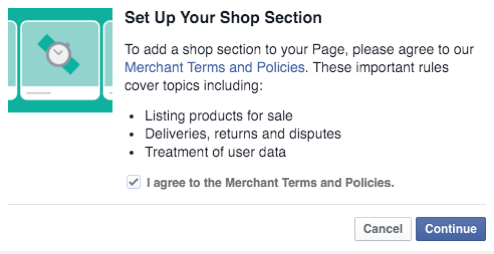 Now they can take privilege of this simple “Call-to-action” button that is now available to them on their particular face book page. 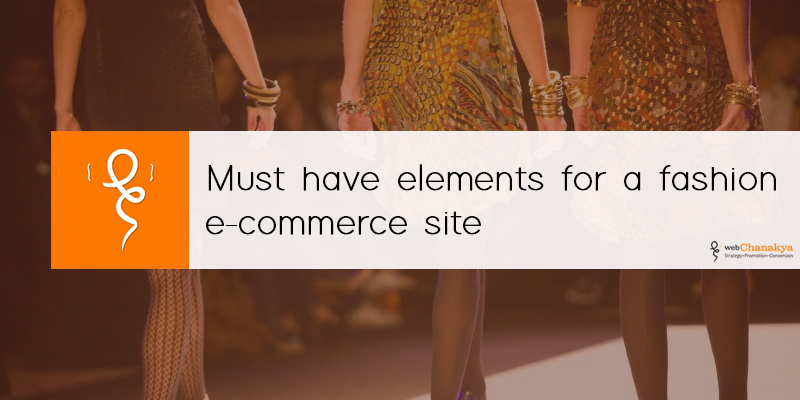 This shop section will allow your customers and potential customers to directly access the products and make a purchase without landing to your particular e-commerce website. As the feature is new to India, many pages might not have an access to it. So, you need to look out if you have an access to it. It is available on the link button below your cover photo. Clicking on the link prompts to explain what this button will permit you to do. Click on the Add Shop button to continue. You’ll be asked the currency you use. There are some rules to keep in mind, make sure you read each carefully. After you’re done agreeing on the merchant’s terms and policies, you’ll be asked to add your business details (email address and business address) and configure the payment gateway you’re going to choose with the already chosen currency. For this you require “Stripe” account, click on the link if you already have a Stripe account. Otherwise you need to make a Stripe account and then continue with the process. 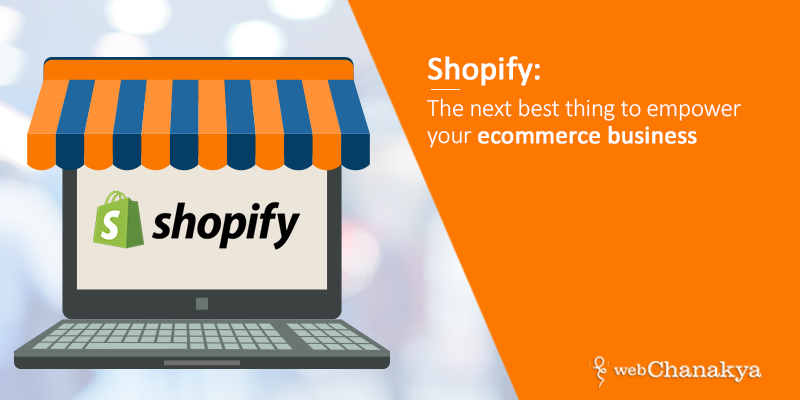 Once you’re done with the setup, your call-to-action button will change to “Shop Now” button. Next, you’ll be asked to provide a simple and understandable description about what you sell in about 200 characters or less. Also, you are ought to add products to your shop. •	You must have one image for each of your product. •	The description should be relevant to the product, easy and should comprise of short sentences. Initially products might be marked as “In Review” to keep a check if they meet the merchant terms and policies and product listing guidelines. Due to this option, the customers still might not be able to see the products until they are approved. 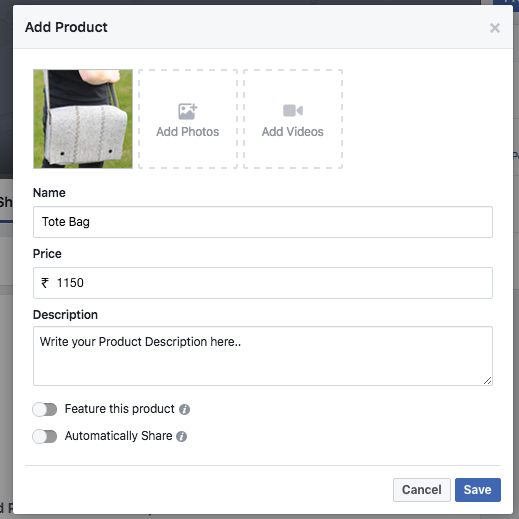 If you happen to sell variants, then Facebook allows you to organize your products into different collections. This option will be shown once you start adding your products. You can also add products which you think will create right buzz to the featured collection. The first few products in the featured collection will appear on your timeline. Copy direct link: It provides you the link to your page shop that you can share. Manage shop: it directs you to your publishing tools, there you can add products and collections. 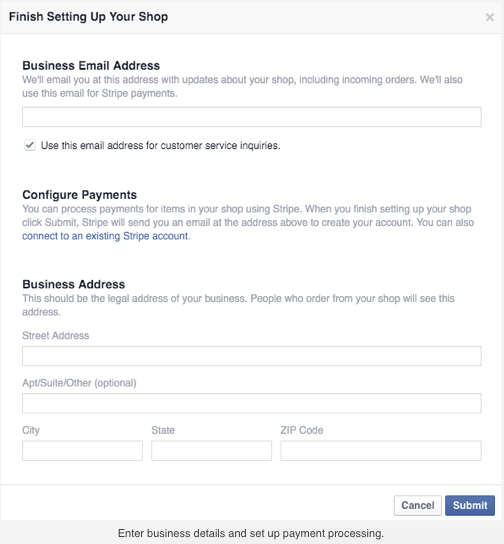 Settings: it takes you the shop’s main settings, like updating your email address, business address, stripe account and description. 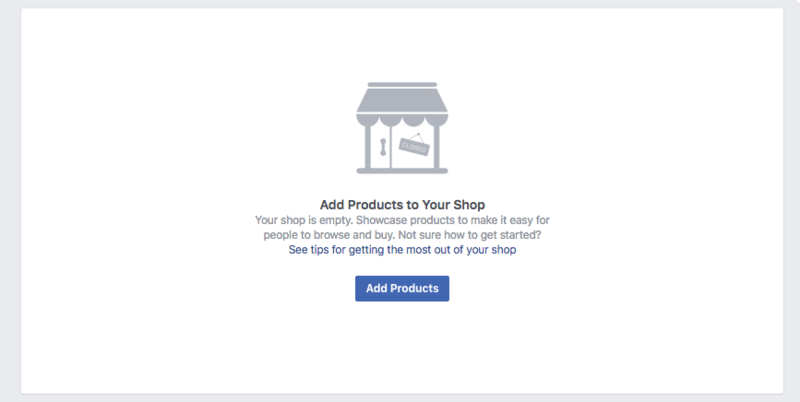 If you no longer want to continue to sell your products, here you can also find the delete shop option. Here you can keep a check on the orders that you receive. 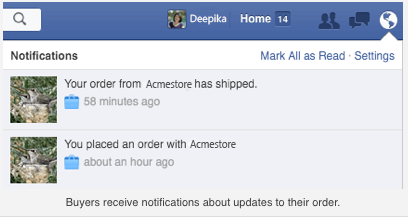 You will receive notification on every received order. 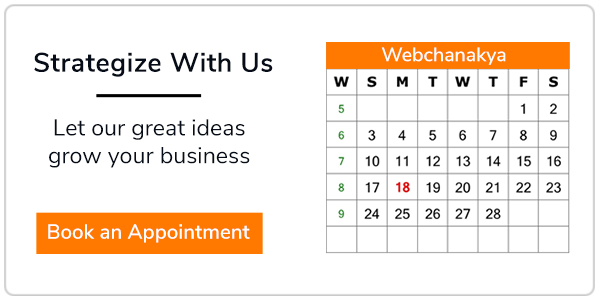 You can review and manage all your pending orders in your publishing tools. You can also click on each order to see details like buyer’s address and shipping preference. 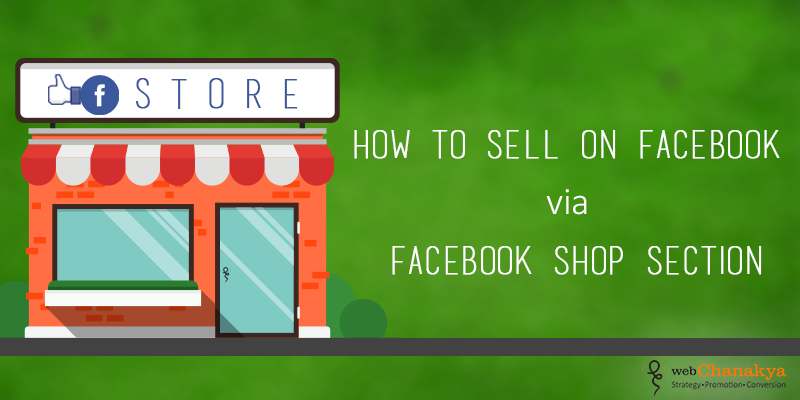 Facebook Shop section feature is a pertinent option for any budding or established e-commerce business to promote their service and advance their market reach. 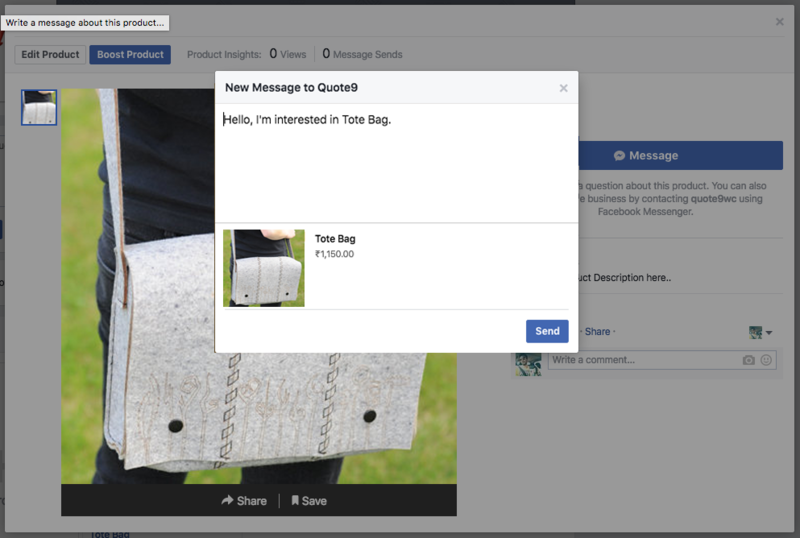 No longer, you require technical knowledge to create your own Facebook store to sell products to your customers who are just about hanging out on Facebook. Facebook is continually growing and thriving, so it is wise grow your community and spread the word about your business.